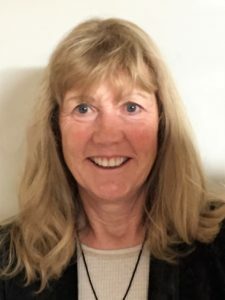 Karen was elected to the Discovery Center board in July of 2013 and served as Secretary before being elected as Board Chair in 2015 until present. She was raised in Oconomowoc, WI and attended UW-Whitewater where she received a B.S. and M.S. in Communicative Disorders. Karen worked for the Janesville Public Schools as a Speech and Language Pathologist for 40 years. She is married to Mike and has a son Morgan. Her interests include history, nature, outdoor activities, reading, painting and music. She grew up surrounded by lakes in Waukesha County and has always loved being near water. 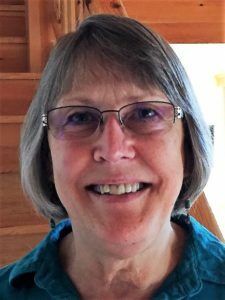 Karen served as president of the Manitowish Waters Lakes Association for 10 years, stepping down in 2016. 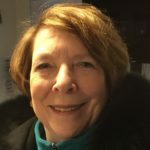 She was also on the Manitowish Waters Alliance board for 10 years, served as Chair of the Janesville Board of Appeals, was Board President of the Janesville Community Day Care Center, and an active member of the Janesville Education Association. Karen and her husband hope to make the Northwoods their permanent residence and to stay involved in the Discovery Center for many years to come. 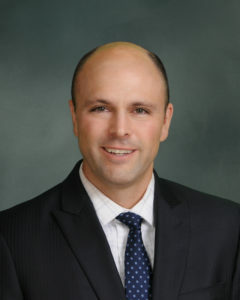 Originally from the east, Eric has lived in Buzzard’s Gap Virginia, Johnstown, Pennsylvania, Fairfield, Connecticut and Colesville, New Jersey. He moved to Wisconsin to attend Carthage College in Kenosha where he met wife Mary. Mary and Eric have two daughters and three grandchildren. Eric received a master’s degree in Counseling and Guidance from the University of Wisconsin and worked many years with disabled adults in the field of vocational rehabilitation, and more recently in student services at Gateway Technical College. Upon retirement Mary and Eric have made the north woods their permanent home where they enjoy the great outdoors, making maple syrup, biking, fishing, traveling and pursuing hobbies of stained glass and art welding. 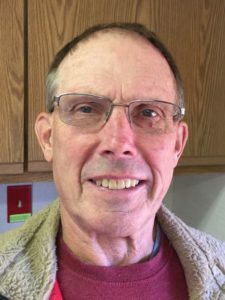 Eric served on the Kenosha County Multiple Sclerosis Society board, is past president of the Hiawatha Lake Association, and currently serves on the Manitowish Waters Presbyterian Church Session and the Winchester Lions. He has been a member of the NLDC board since 2014. We had owned property in Winchester, WI for 30 years and decided to build our home here. At that time I became active with the Winchester Town Lakes Committee and the Discovery Center. I am also involved with the Rainbow Lake Association as the Aquatic Invasive Species Coordinator. Outdoor activities hold a special place in my life together with my family. Tom Joseph is a retired commercial property manager/developer and attorney turned fiction writer. 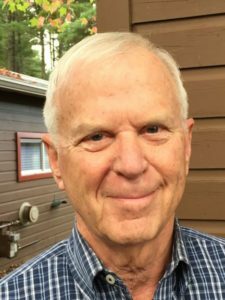 He has lived in Manitowish Waters all the summers of his life, and full time since 1991, serving at one time as its municipal judge. 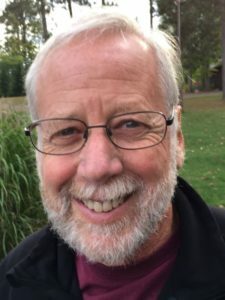 He has volunteered at the Discovery Center since its inception, the Manitowish Waters Lakes Association (former vice-president), and North Lakeland School. His passions for the outdoors include cross country, back country and downhill skiing, fishing, mountain biking, canoeing, and wilderness travel. A lifetime resident of the northwoods, Brent is the Superintendent of North Lakeland School District -- a school that prides itself on its extensive outdoor education program and high student achievment. Brent received his B.S.E. from UW-Whitewater in Broadfield Social Studies and a M.S. in Educational Leadership from Marian University. Brent and his wife Amber have four active kids and love spending time together as a family. As the North Lakeland School Liaison, Brent looks forward to providing an educational perspective to the Discovery Center Board while maintaining the strong relationship between both organizations. Brent has been a board member since 2012. 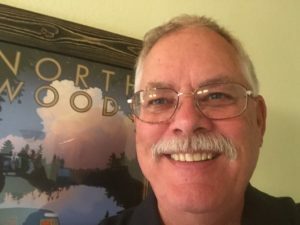 Jack and his wife Pam “discovered” the north woods in 2008, and built their dream retirement home on Rest Lake in 2011-2012. They spend most of the months of April – October at their lake home, while maintaining a residence near Milwaukee and most of their grandchildren. With several advanced degrees in chemistry and a law degree, Jack practiced antitrust, environmental, and intellectual property law in Milwaukee, retiring from Foley & Lardner S.C. in 2010. He was instrumental in the growth of the Milwaukee Kickers soccer club, serving as its Executive VP for many years as the club grew from 26 to over 650 teams. He served Milwaukee as the citizen representative and eventual chair of its multi-billion dollar Pension and Annuity Board, and worked closely with Cerebral Palsy of Southeast Wisconsin, Inc. and its foundation for almost a dozen years, chairing its Board for two terms. Jack also spent many years as pro bono counsel to the educational foundation of the paper industry and was elected to its Hall of Fame upon his retirement. He is looking forward to his work with the Discovery Center Board, learning to catch more walleye and making new friends in his summer community. Lauren Prentiss spent a long time living between extremes - having spent the last 10 years splitting time during the year teaching middle school science at MS247 in New York City with summers in northern Wisconsin. 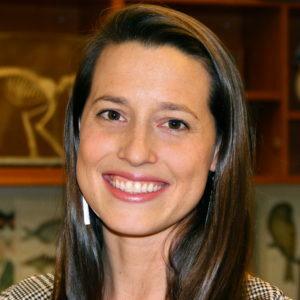 She is from Colorado originally and received her undergraduate degree with majors in Environmental Science and Ecology & Biodiversity along with minors in Geography and Leadership Studies from the University of Denver. Her masters degree in adolescent education is from Pace University in New York City. Teaching in a high need public school as part of Teach For America gave Lauren deep insights into the value of education and specifically outdoor experiential learning for all children. While in the classroom Lauren built partnerships with Columbia University and had her students working with PhD candidates on joint projects. She also took students camping every fall and spring in Massachusetts at a camp very similar to the Discovery Center. Outside of the classroom Lauren was a Master Teacher with Math for America and a National Teacher Fellow with Hope Street Group in Washington DC. Since having her son she and her husband now spend time throughout the year in Denver and Manitowish Waters. She continues to consult as a teacher coach while at home raising her son. MS Industrial Technology and MS in Vocational Rehabilitation. 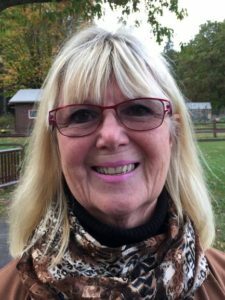 Self-employed Entrepreneur for 35 year; returned injured workers to work; assisted employers in modifying jobs; represented Social Security disability claimants; served on rehabilitation teams with clinics. Certified Master Naturalist and dedicated NLDC volunteer; Coordinator Salvation Army Bell Ringers for Sayner, Star Lake, St. Germain, and Boulder Junction. Chain of Lakes Ruffed Grouse Society Com mittee member; past VISTA and Habitat for Humanity volunteer.